The first meeting: This first meeting is primarily to acquaint the client with the process and the choices that can be made that will effectively influence the outcome of the final portrait. 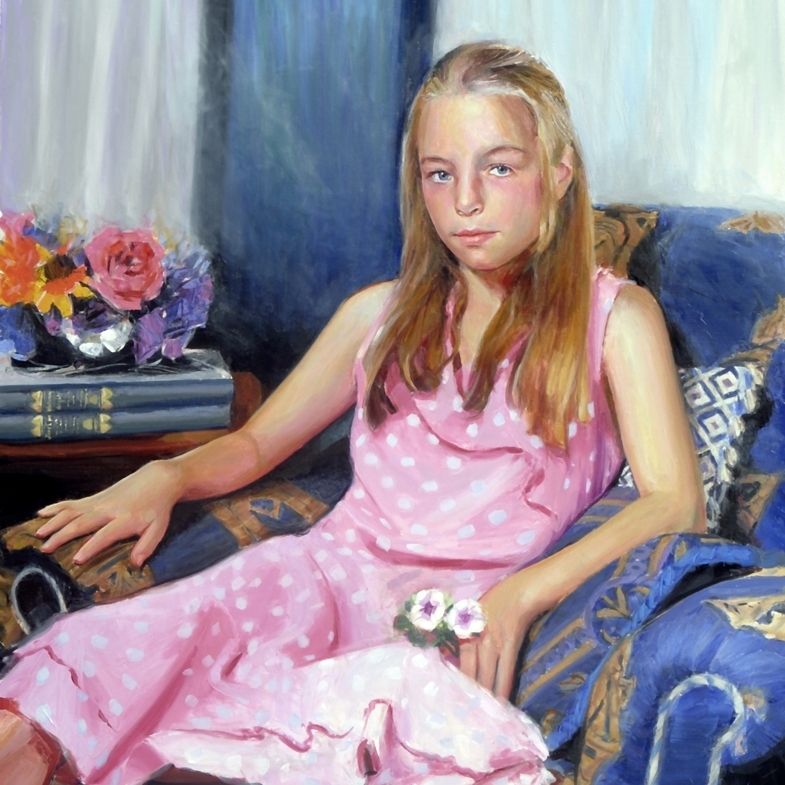 Decisions include whether we are looking for a portrait that is formal or informal, indoor or outdoor. Each portrait is unique and special and personal. We discuss clothing choice, location and select a day for the photo sitting. Photo sitting: This session is to achieve great natural lighting, composition and expression with the subject/s. I will be photographing a selection of compositions as well as facial expressions to find the perfect creative reference. The photography starts the creative process. Charcoals: A charcoal is then made from the best compositions shot at the photo sitting and these are done life size. 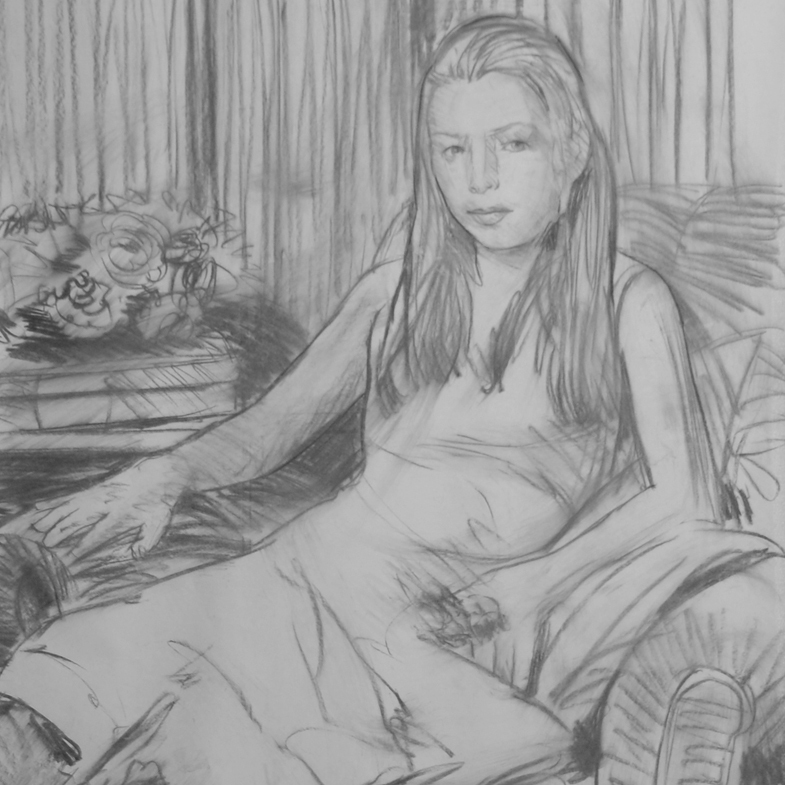 Often at this stage the client is unclear how large the portrait should be and this is why various cropping options are drawn onto the charcoal. Going to canvas: When the client has had opportunity to evaluate the charcoals and photography we proceed to canvas. The client will view and have opportunity to make comments when the portrait is near completion. This is an opportunity also to discuss framing options.